India is a land of various cultures, traditions, and diversities. 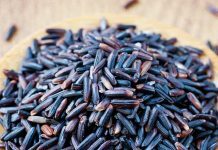 Food occupies a major part of cultivation and production and one other sector which is also very important on Indian lands is Weaving tradition. Today we shall discuss one such traditional handloom weaving which once got rapidly declined due to British Colonialism because of its policy favor towards industrial textiles manufacturing. 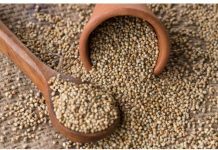 Its production was historic and was also patronized by Imperial warrants of the Mughal emperors. 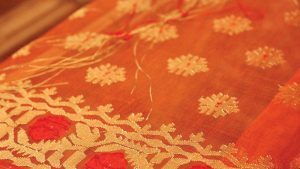 It is one of the finest muslin textiles of Bengal region, and since centuries Dhaka district has been into the production of these sarees. It is traditionally named as JAMDANI. 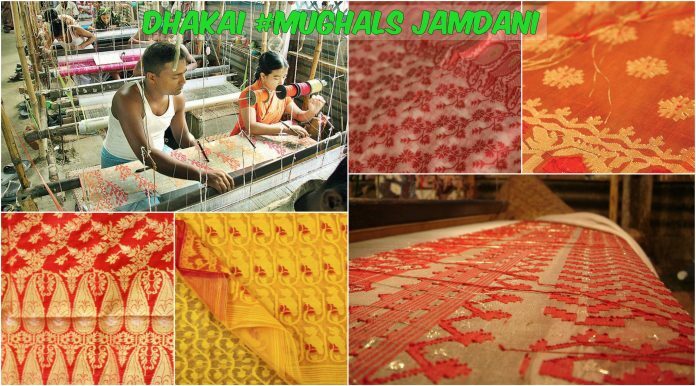 Jamdani, historically referred to as muslin, is a handloom woven fabric made of cotton. 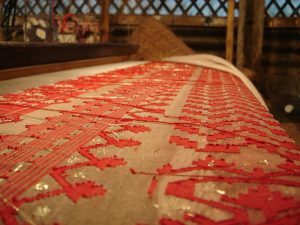 It is considered as one of the most time consuming and labor intensive forms of handloom weaving. Undoubtedly, being one of the varieties of finest muslin and is also famous for the artistic weaving of the Bangladeshis. 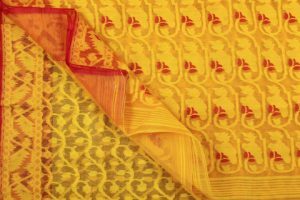 It is traditionally woven around Dhaka and is created on the loom brocade. It is also fabulously rich in motifs. Typically weaved in grey and white. 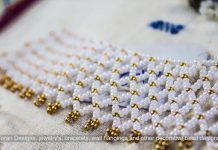 Often a mixture of cotton and gold threads were also used. 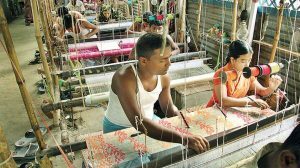 It is the most expensive product of Dhaka looms as it seeks most lengthy and dedicated work. The patterns of Jamdani have originated thousands of years ago and were mostly geometric, floral and plant designs. Due to the exquisite painstaking methodology, only aristocrats and royal families were able to afford such a luxury.